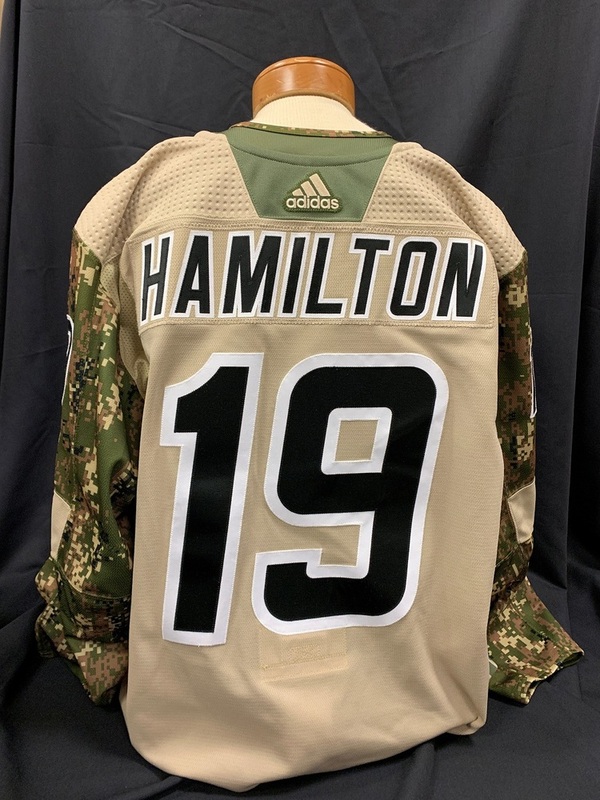 This Dougie Hamilton #19 Carolina Hurricanes Military Appreciation jersey was worn in pre-game warm-ups prior to the game against the Nashville Predators on January 13, 2019. The jersey is size 58 and comes with a Certificate of Authenticity. All proceeds benefit the Carolina Hurricanes Foundation. *Jersey will be autographed at a later date. All items will be charged $10.00 USD shipping and handling fee for shipments in the United States. For shipments to Canada, all items will be charged $25.00 USD. For shipments outside of the United States and Canada, all items will be charged $100.00 USD. All winning bidders pay shipping charges and are responsible for tariffs, taxes, duties and any other additional costs with shipping. Items may be picked up at PNC Arena to avoid shipping and handling charges, and we will combine shipping for any bidder who wins multiple items.